Amsterdam based design and lifestyle brand Mariska Meijers Amsterdam has its own brand store on Leliegracht, one of the main canals in the historic city centre of Amsterdam. The store also serves as the designer’s Studio.The space houses the entire collection of pillows, trays and tray tables and is also the testing ground for exciting new designs before they are launched to market. 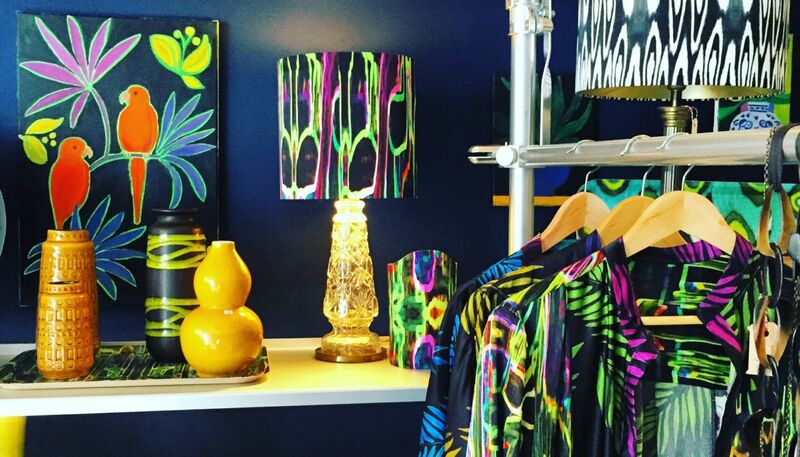 Visitors can experience Mariska Meijers’ rich and boldly patterned products and enjoy an extensive exhibition of original art work, limited edition prints and a selection of beautiful (vintage) finds from across the Globe. The space is a welcoming and inspiring environment and the designer is often there herself!